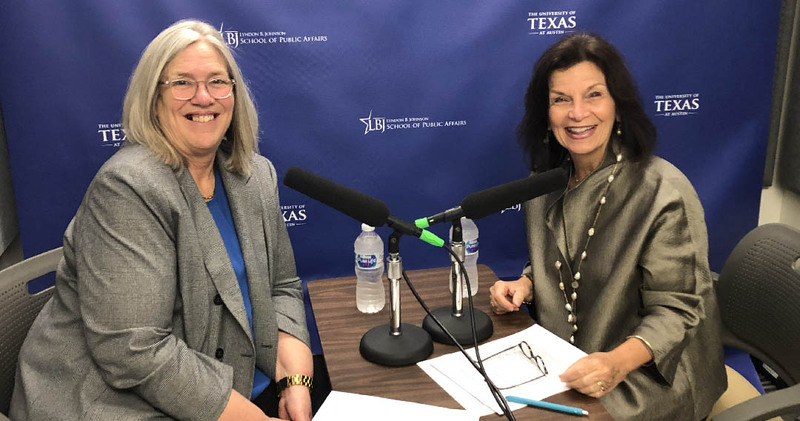 Listen to past episodes of "Policy on Purpose"
The LBJ School's podcast, "Policy on Purpose," takes listeners behind the scenes of policy with the people who help shape it. Host Angela Evans, dean of the LBJ School, dives into real-world and timely policy topics with leading experts from the school and the policy world at large. Listen and subscribe.